I’m breaking my own rule for this project by featuring something that isn’t strictly a rebrand; it’s a completely new project. 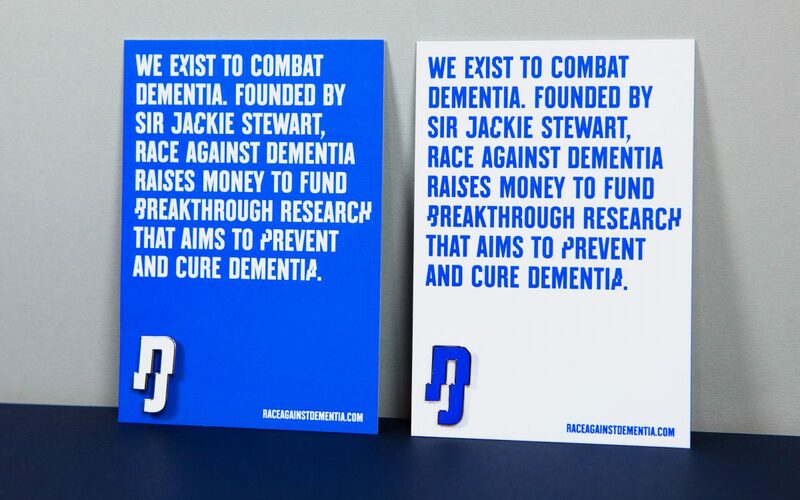 Race Against Dementia is a charity founded by Sir Jackie Stewart. Brand Union were hired to create the branding, and I think they totally nailed it. This is one of my absolute favourite projects of 2016. 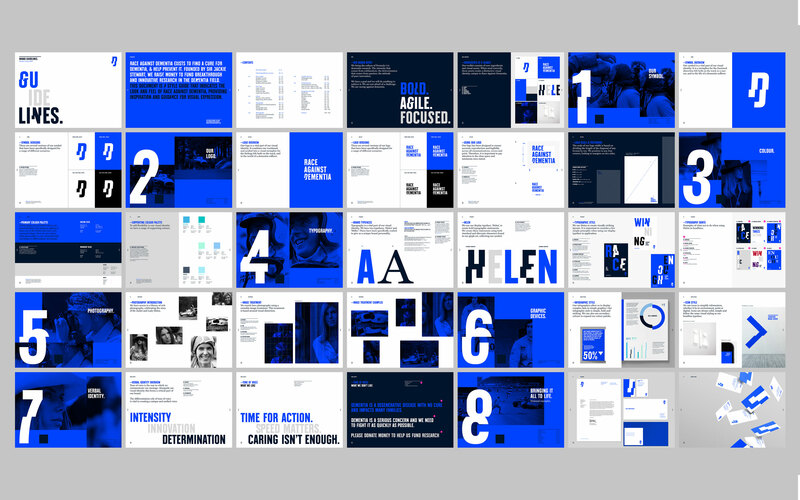 The identity is based around a custom typeface by the always excellent Colophon foundry. The font is altered in a way that “highlights the distortion and disorientation experienced by those suffering from dementia, whilst also harnessing the speed and thrill of motorsport”. 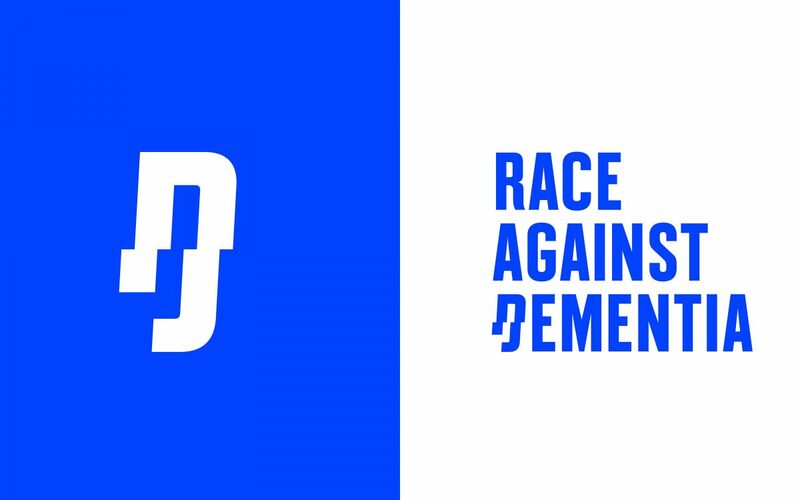 This description by the design agency isn’t at all pretentious as it’s immediately clear that the visual identity is about two things; dementia and Formula 1. Every design decision seems completely appropriate; even the colour was chosen to match Sir Jackie’s old race cars. I really like the type based poster layouts and the fragmented use of photographs on the website (another nod to the condition itself) and I especially love the sweet little pin badges. Snask could be accused of simply rehashing their greatest hits for this project. 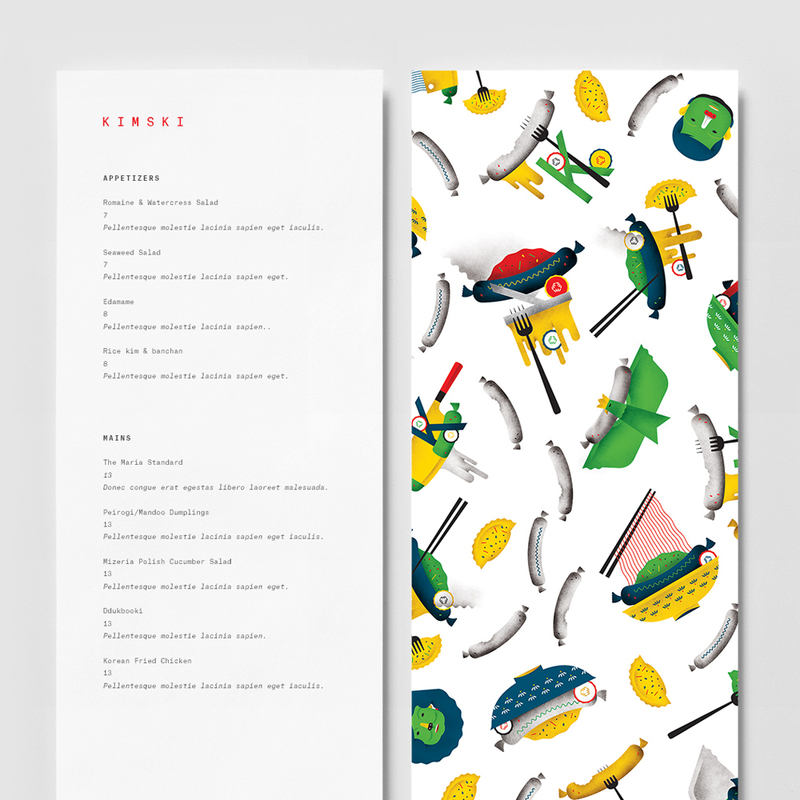 But when the design work looks this good, do you really care? 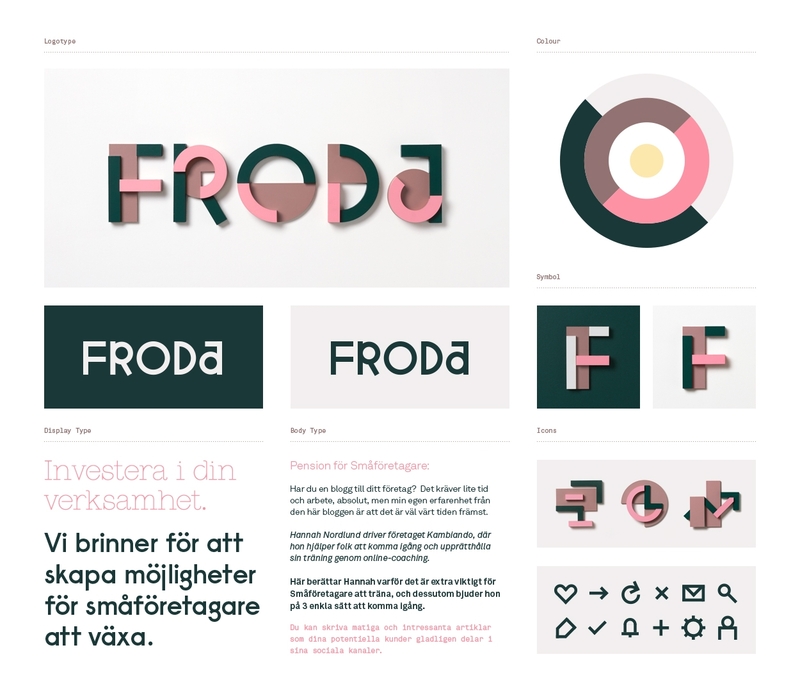 I’m a big fan of the esteemed Swedish design agency and I’m always excited to see new work by them. 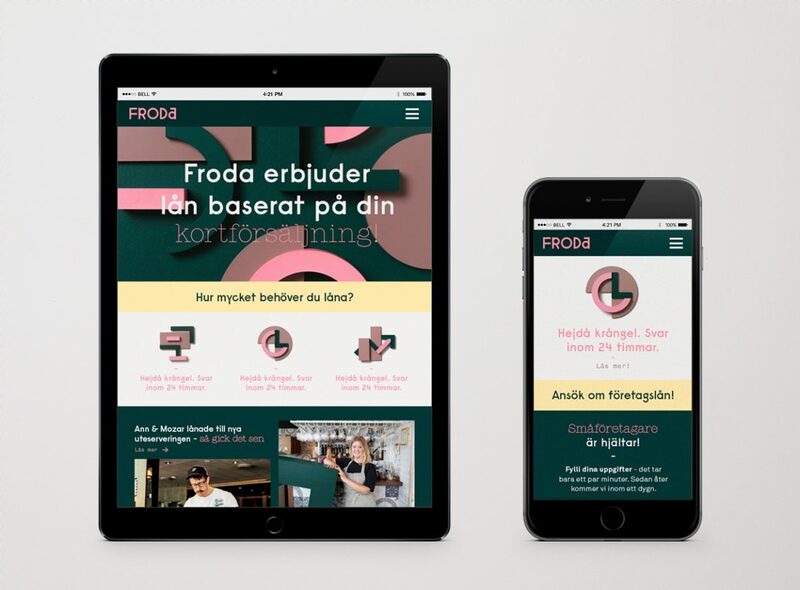 Froda offer loans for small businesses. It’s great to see a financial company embrace a brand identity far removed its corporate contemporaries. Snask’s use of blocks to make letters and icons is very cool and perhaps could vaguely refer to building businesses and making use of investment I guess. The colour scheme is really unique and the website looks very professional. A brilliant little project. This project was of particular interest to me as I was recently asked to design an ‘i-something’ logo of my own for a client. Anything prefaced with an ‘i’ that isn’t made by Apple instantly feels wrong to me — like it was named by a clueless salesman trying to appeal to ‘millennials’ or a manager of a Chinese factory producing cheap technology products. iMentor was apparently started in 1999, so they perhaps have a good excuse. But I think that it is still an uphill struggle to build trust into an ‘i-brand’. 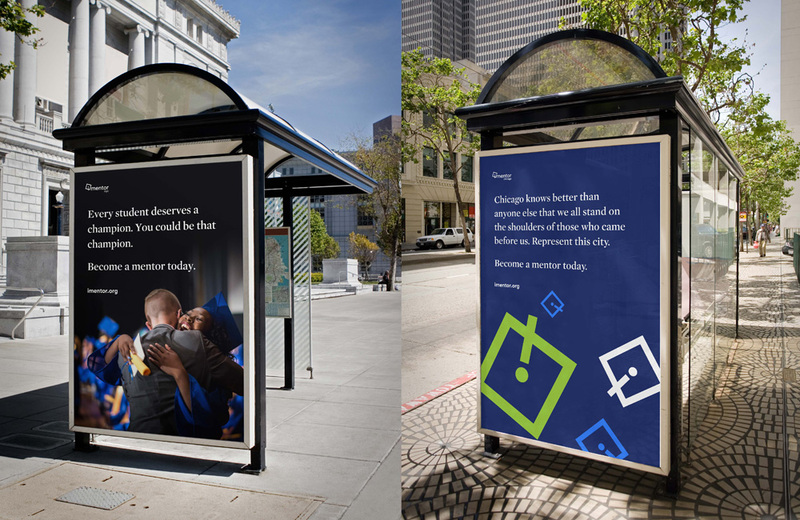 Hyperakt — the agency behind this rebrand — have achieved it though. There’s something delightful about logos that take a second a two to register their meaning. It took me a moment to notice that the ‘i’ was a mortarboard and when I did it was all the more rewarding. Roman-Sur-Isère is a small town picturesque town south of Lyon in France. 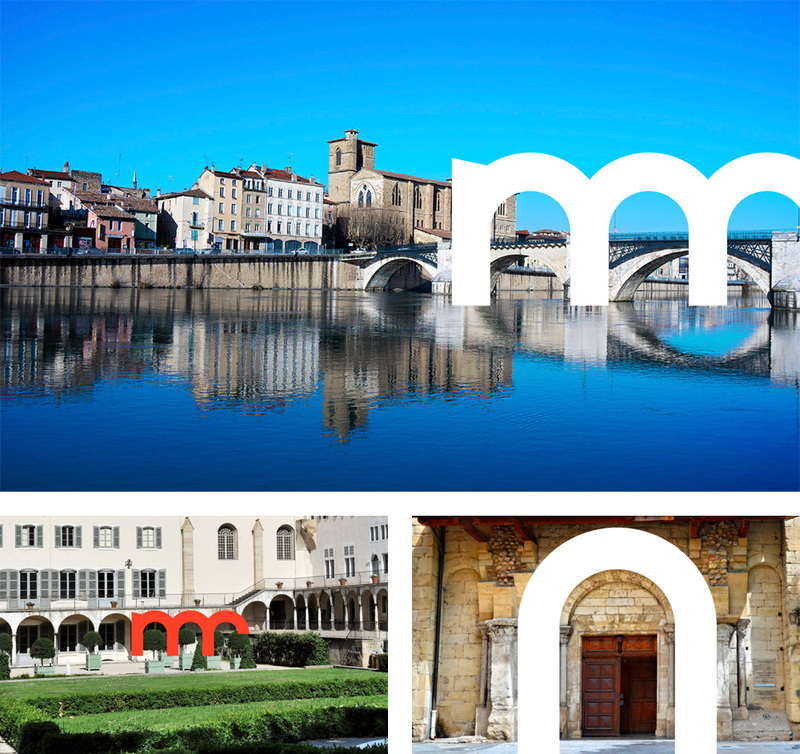 French agency Graphéine — who seem to specialise in geographical branding projects — gave the town a fantastic new look, and I love it. I’m a big fan of simple motifs and I really like how the ‘m’ is used as the main brand device. It’s quite unusual to see a letter in the middle of word to be used like this but I think it works really well. The other aspect of the project that I adore is the design of the event posters. 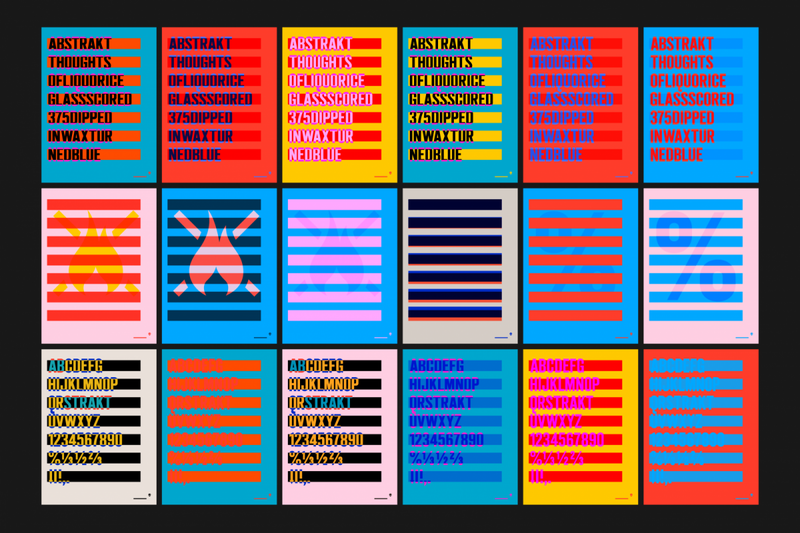 The designers devised a simple but flexible template for all of these to follow and the result is a dynamic set of posters that have a very consistent aesthetic. 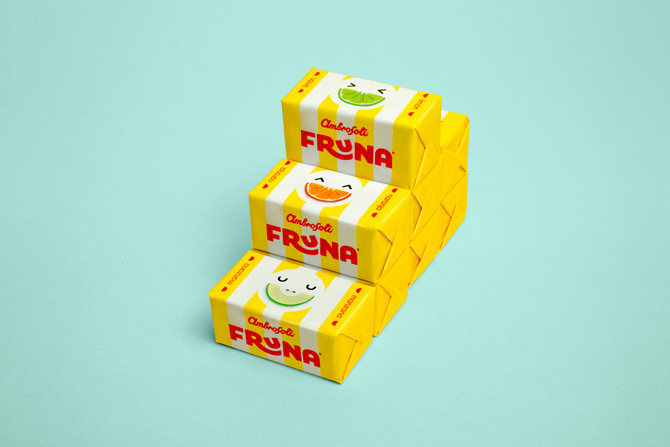 Fruna — a Peruvian confectionary company — recently received a fresh rebrand courtesy of Brandlab. 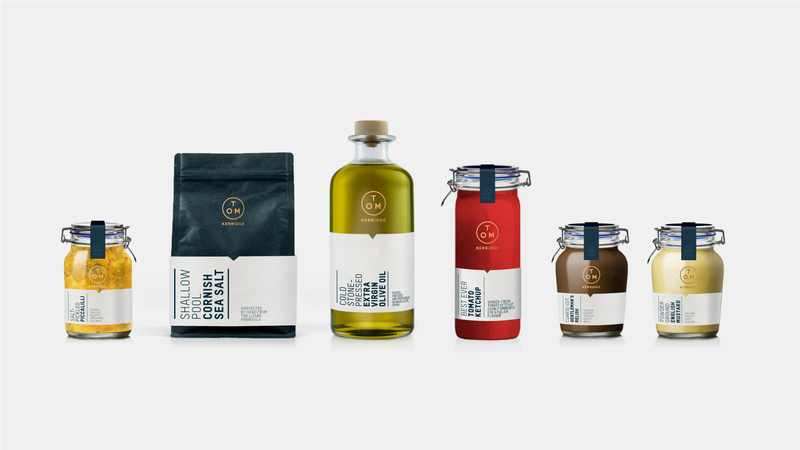 This eye catching design work has been all over the branding and packaging blogs and for good reason. It’s a stunning project that’s left me salivating! To start with, the wordmark is gorgeous. The minimal treatment of the logo is a bold move for a sweet brand (the likes of which seem to always need random gradients and 3D effects). 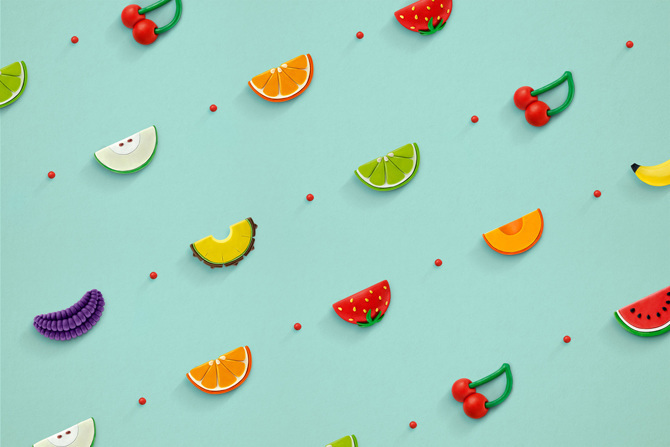 It oozes playfulness together with a touch of retro nostalgia. 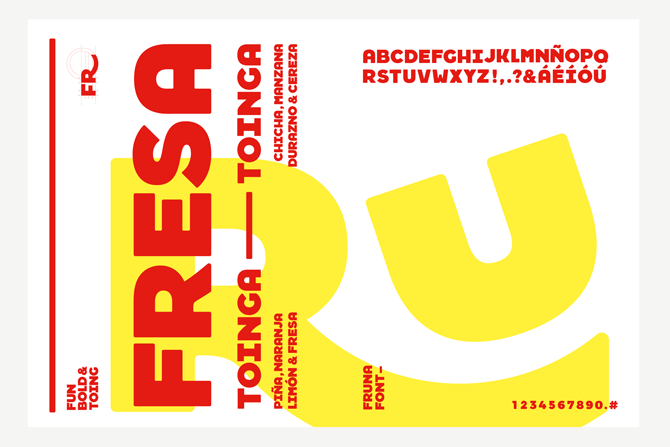 The wordmark has been extended into a beautiful custom typeface, which looks very South American to me. I absolutely love the pattern work. 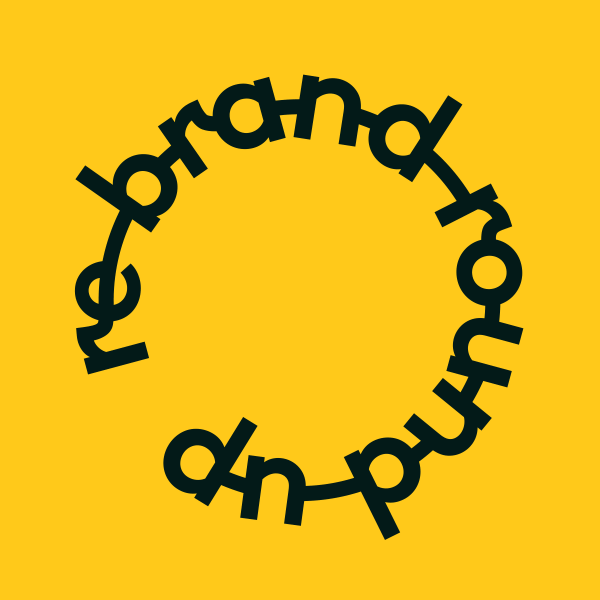 Too many brand patterns are simple repeats of a logo but this is something completely unique. Making little clay fruits and photographing these was an inspired idea. I also can’t get enough of the fruit face emojis used on the packaging, they’re too fun! 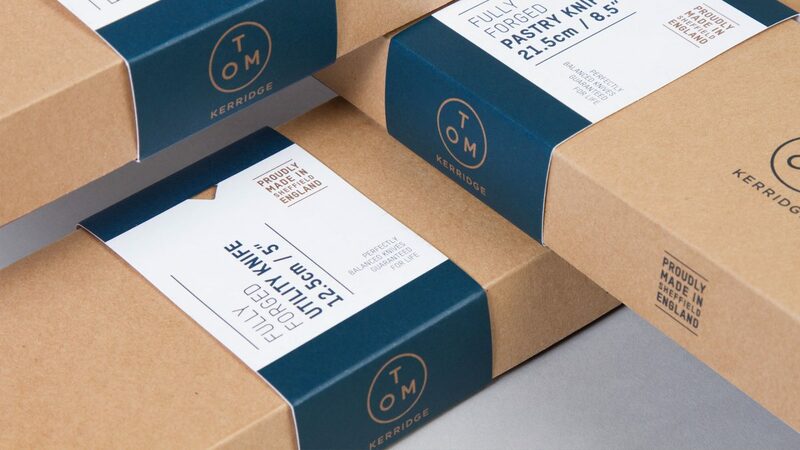 Tom Kerridge is one of my favourite TV chefs; his brand of down-to-earth, honest British grub cooked to the highest standards always gets my stomach rumbling. 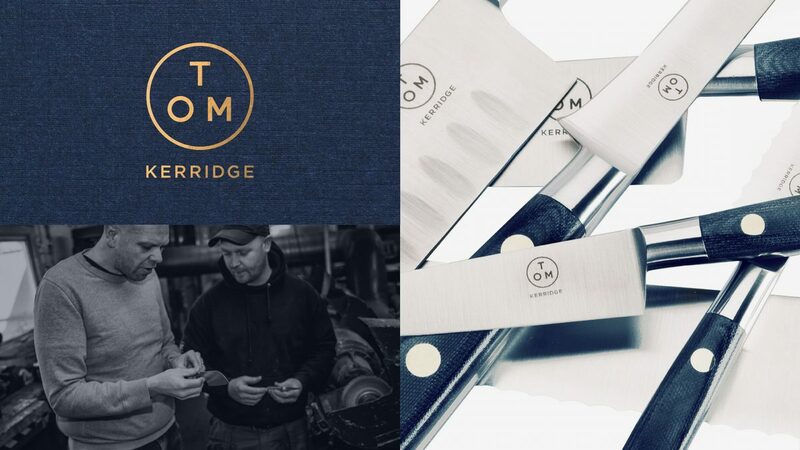 London based The Clearing have managed to totally encapsulate this in their rebrand, created for Tom’s line of new products. 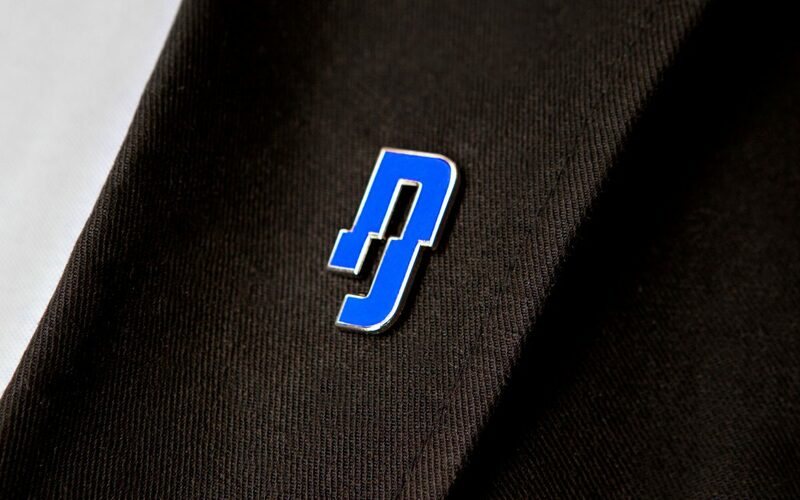 The logo itself isn’t especially exciting but it does the job. The brand itself comes alive in application however. 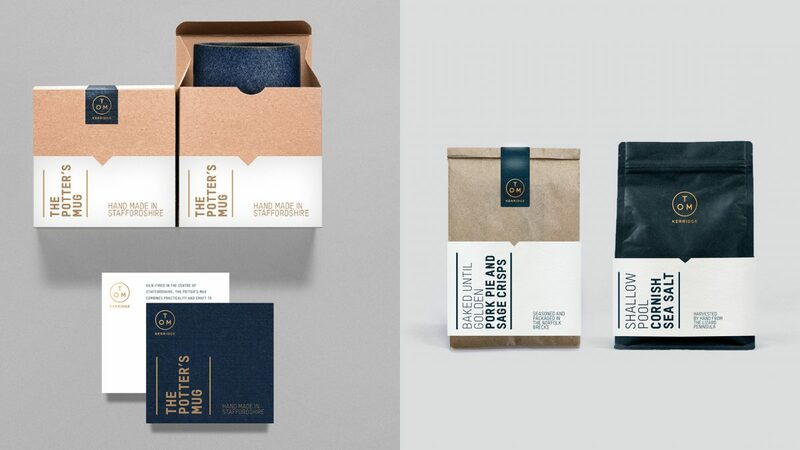 It’s great to see a classy packaging system like this work so well in so many different forms. I especially love the knives; they look honest and sturdy but precise, just like the man. 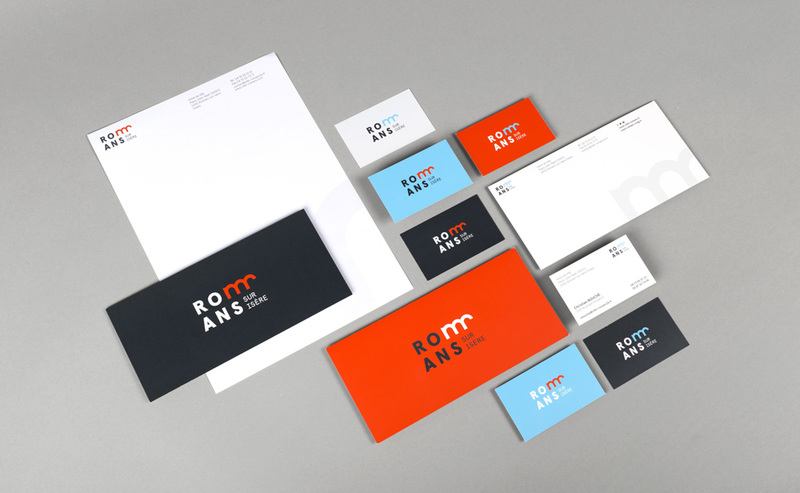 New York agency, Franklyn have a vast catalogue of enviable branding projects. 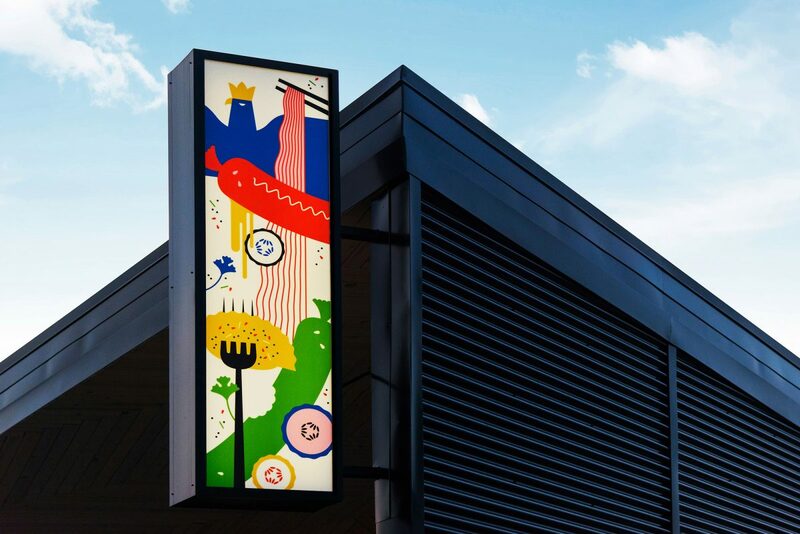 One of their latest was for a Korean-Polish restaurant in Chicago. 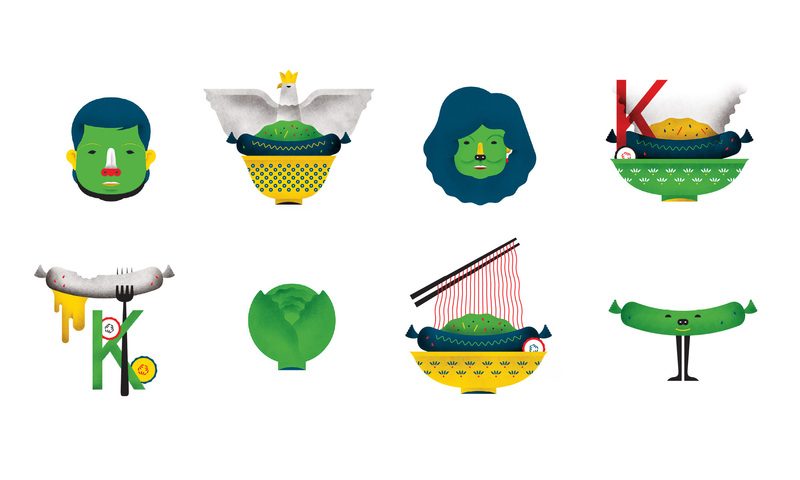 This identity is largely built around illustration. The stark monospace type contrasts nicely with the lush, slightly surreal drawings. The reason why I like these illustrations so much is because I think they’re so original. 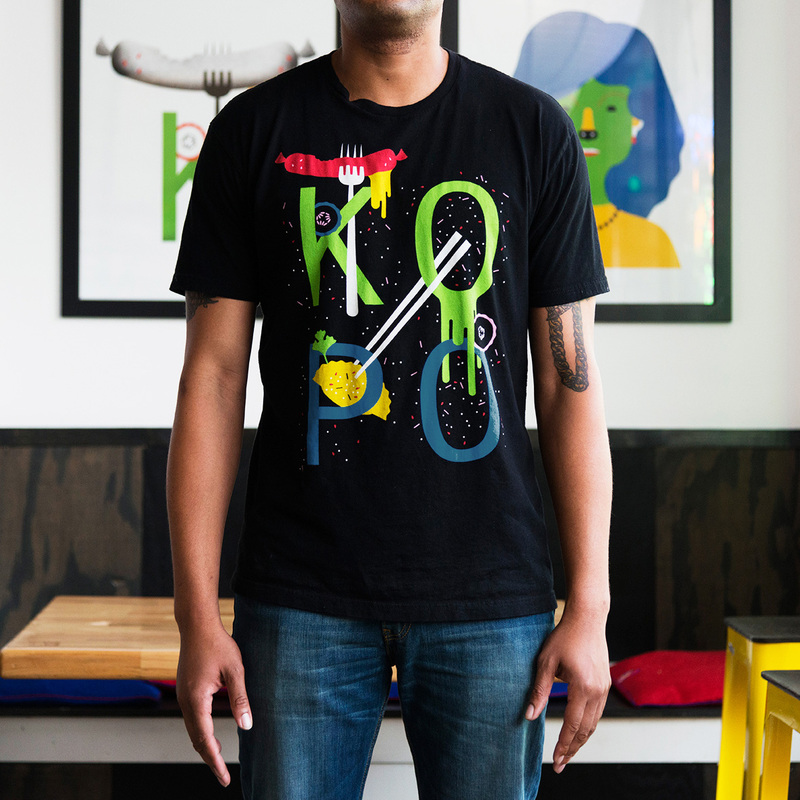 They’re far removed from common styles and work as a really unique brand identifier. I first became aware of Glaswegian agency O Street through their Roadliners project. 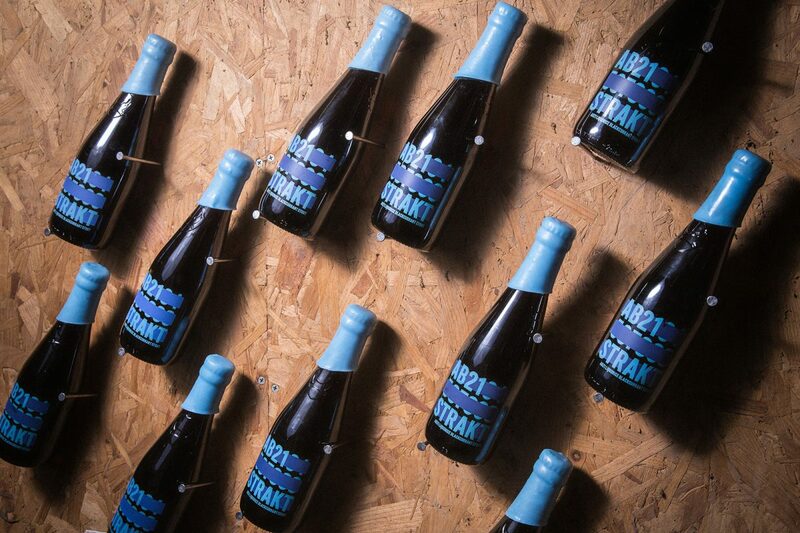 They currently work quite heavily with craft beer company Brewdog on a number of different projects. 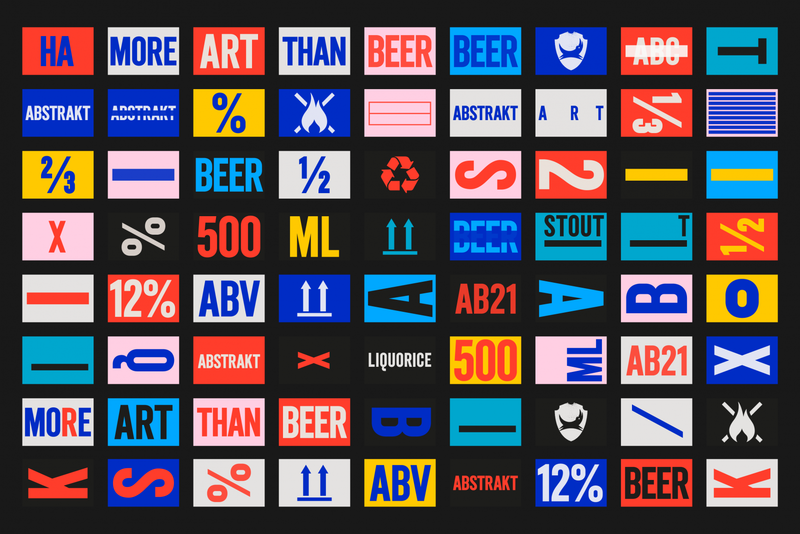 Their new Abstrakt rebrand particularly caught my eye. Aesthetically, it’s right up my street (pun intended). 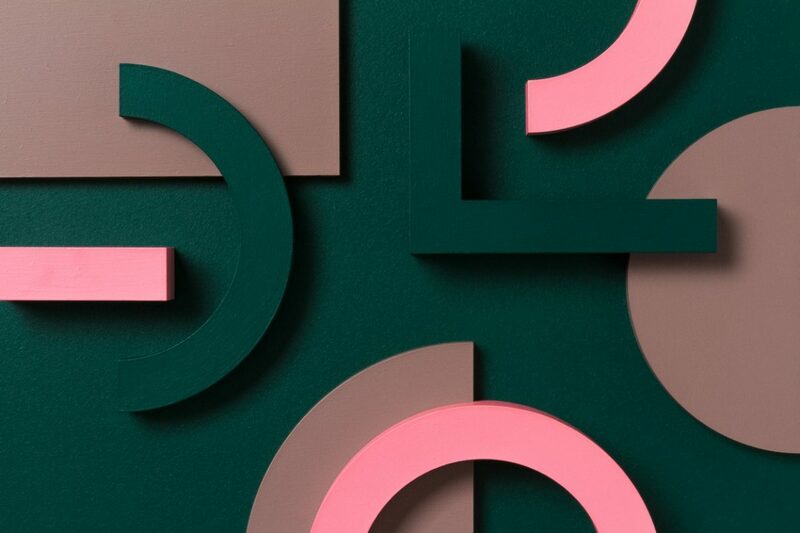 I love the bold colours that form plenty of pleasing combinations, paired with the strong gothic type. 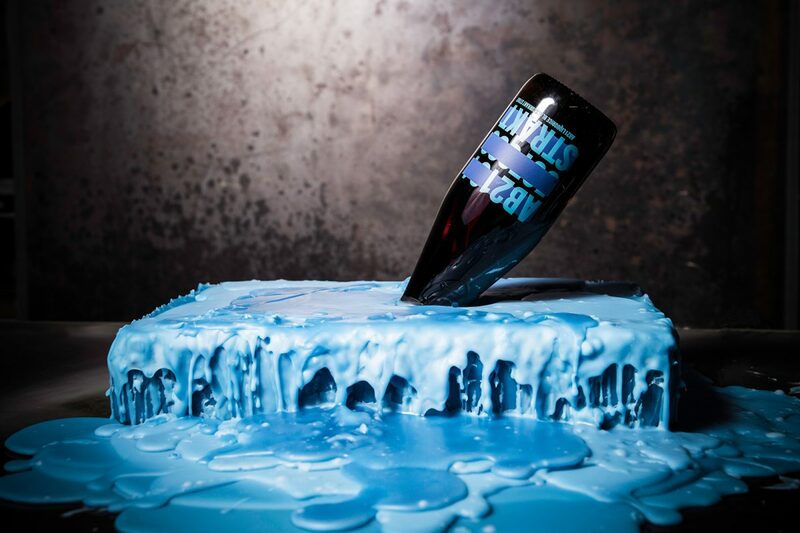 And how cool is the wax dipped neck of the bottle?! I’m not entirely sure I understand how the numbering system works but the ‘crossed out’ thing is nice and definitely makes the brand feel more subversive.